Freshman year of college I had the delight of learning in a lecture that this thing exists- a velvety, leggy, slime-spitting creature called an Onychophoran, commonly known as the velvet worm. Ever since then it became a dream of mine to find one of these under a rotting log where they live in the wild and, of course, get slimed by one. Thanks to a recent trip to Yasuni National Park in Ecuador, this dream became a reality. 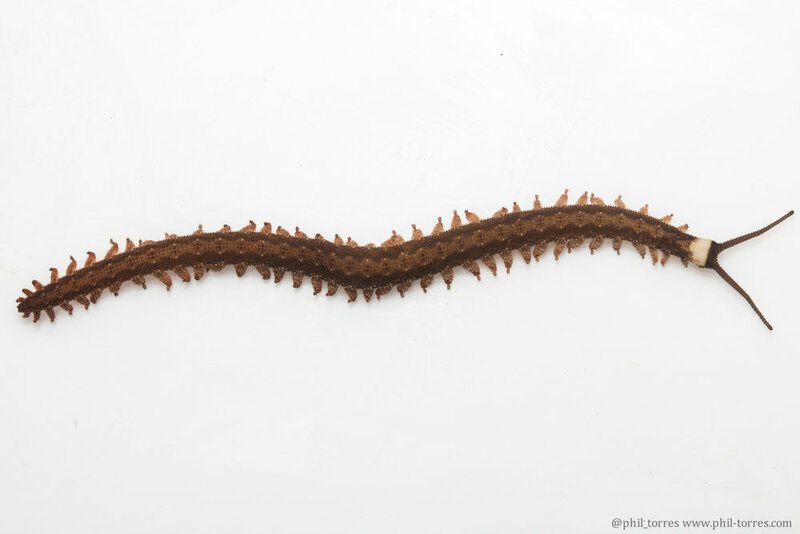 Velvet worms are odd. Sure, they squirt out a sticky slime to ensnare their prey (or defend against the dirty fingernails of photographers). And they aren't quite a worm, aren't quite a millipede, they are their own lineage that has hardly changed over 500 million years and is one of the closest relatives to the arthropods. But the oddity only begins. Some species are considered social. They have an alpha female that leads the group hunting together; and feeds together by dining sequentially in order of hierarchy. Then, there's the mating. Some species mate by the males sticking a patch of sperm on the female which breaks into her skin and releases the sperm. The sperm eventually find their way down to fertilize the eggs, and the female then gives live birth to (very likely adorable) velvety mini-onychophorans. Thanks to www.TropicalHerping.com for getting me access to Yasuni, and Aaron Pomerantz for the slime-on-my-finger photos.